Stuck in a ditch? Off the road? Winch Out Service. Are you stuck on top of a parking block or a rock? Wet, icy, or snowy conditions? Slick roads? 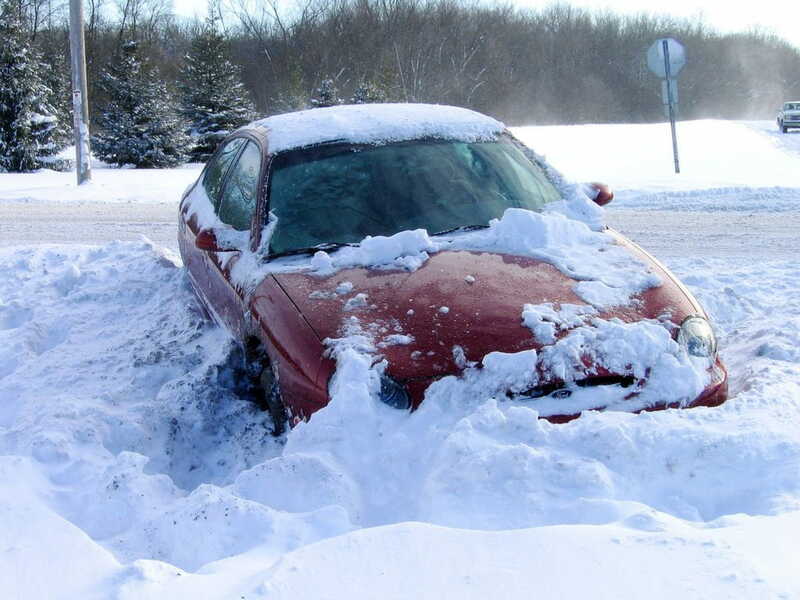 Did you slide off the road and into a snow bank or ditch? Stuck and can’t get out? No problem, Classic Towing has you covered. If your car, bus, box truck, semi-truck, or even tractor-trailer is stuck in the mud, snow, water, in a ditch, or on top of a curb or some other object, we can get you back on the road in a hurry. Proper training and years of experience is the key to winching, lifting, and recovering a vehicle without further damaging it. We offering winch out service in Naperville, Aurora, Bolingbrook, Plainfield, and all throughout the Chicagoland area. Our well-equipped light, medium, and heavy duty tow trucks have all the necessary tools and equipment to help you in roadside emergencies where you require a tow truck with a winch to bring you back onto the roadway. Our licensed tow truck operators are all highly experienced in winching cars and trucks out of the snow, mud, water or any other place you might happen to get stuck. Do you need a winch out in Naperville, IL? What about winching service in Aurora, Plainfield, Bolingbrook, or anywhere else in the Chicagoland area? Look no further and make Classic Towing your first choice for winch out service in Naperville and all throughout Chicagoland. Getting the best local winching service means choosing the right Naperville towing company. Classic Towing is the right company with its professional, expert service and a reputable 25 year proven track record serving Naperville and the Chicagoland suburbs. We provide fast, affordable winching service in Naperville, Aurora, Bolingbrook, and anywhere else within a 35 mile radius. We can have a light, medium, or heavy duty tow truck to winch out your vehicle, anywhere in the Chicago Metropolitan area, in about 30 minutes or less. We have the equipment, expertise, and staff to handle any winch-out, light, medium, or heavy duty, 24 hours-a-day, 7 days-a-week. Call today for the number one rated tow truck company in Naperville, IL! Classic Towing… we are always just around the corner. Our winch-out service area includes: Addison, Aurora, Bartlett, Batavia, Bensenville, Bolingbrook, Burr Ridge, Carol Stream, Crest Hill, Darien, Dekalb, Downers Grove, Elburn, Elmhurst, Elwood, Geneva, Glen Ellyn, Glendale Heights, Joliet, Lombard, Minooka, Montgomery, Naperville, North Aurora, Oak Brook, Oswego, Plainfield, Plano, Romeoville, Sandwich, Shorewood, St. Charles, Sugar Grove, Warrenville, West Chicago, Westmont, Wheaton, Winfield, Woodridge, Yorkville, and all throughout Chicagoland. We service all major highways with our winching service, including: I-88, I-355, I-294, I-55, I-290, I-80, I-94, I-90, and I-57.